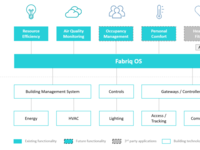 Fabriq OS (formerly EnergyDeck) is an innovative energy & resource data platform for the built environment, using IoT technology to reduce consumption, save costs & meet sustainability targets. 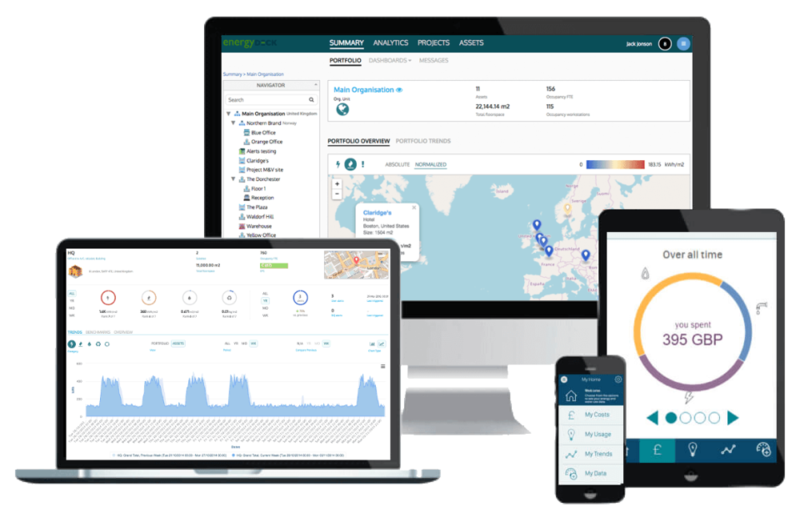 We provide the ability to track and manage all building related performance metrics in a single online system. 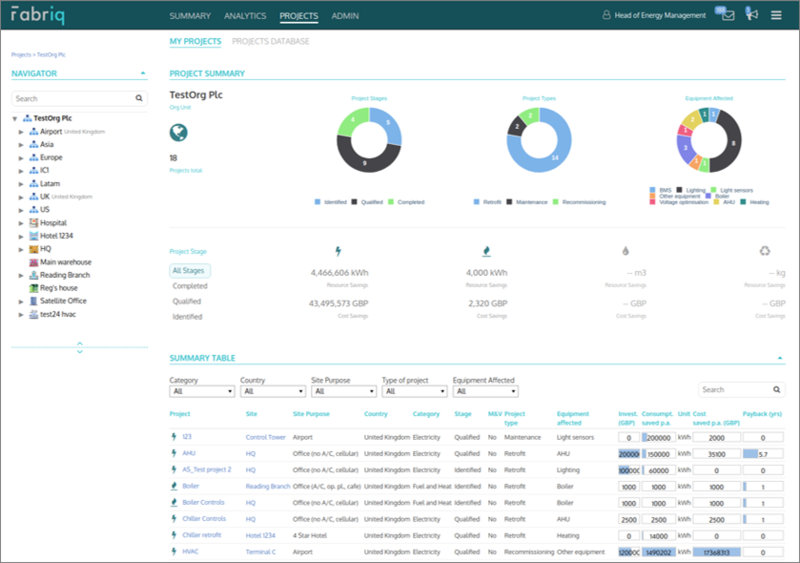 Users can benchmark buildings to identify savings potential, manage projects, track the impact of efficiency measures, create reports and share the results with various stakeholders. Fabriq OS Reviews Recently Reviewed! 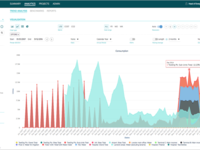 Overall: Fabriq OS makes it very easy to analyse Year on Year trends in consumption, cost and emissions as well as to spot inefficiencies in consumption and potential opportunities for savings. 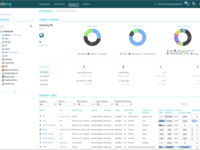 Key benefits include an automated calculation and analysis of data, live data integrations with multiple providers and fully customisable automated reporting functionality. 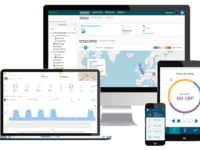 It also makes it very easy for any group of sites to monitor and benchmark environmental performance/emissions in a single platform. Cons: Setting up hundreds of meters is very time consuming but neccessary. Overall: Overall this is the best AM&T platform I have used to date. Pros: Mobile version of this software works best for us - Mobile UI is nice and easy to adapt. Overall: We have subscribed to a complete white-labelling service to enable our customers to gain advantage of utility consumption benchmarking leading to more effective and efficient utility management overall. 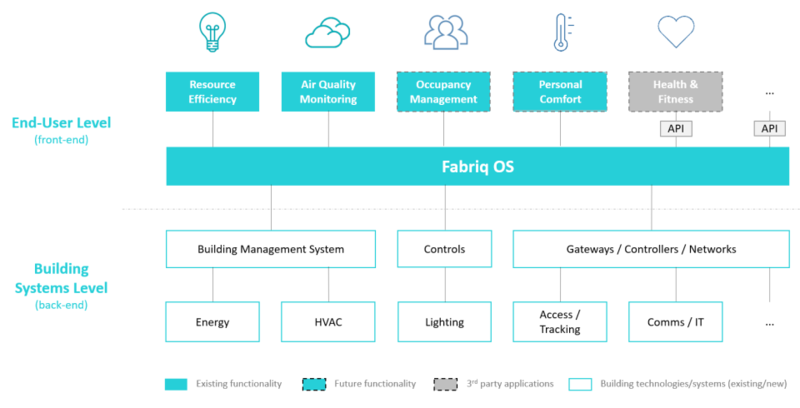 Pros: Fabriq OS is a platform with an incredible amount of depth and a rich feature set. It also happens to be intuitive and user-friendly. Cons: So far in my use of Fabriq, there have been no negative points. This is the best energy data analytics platform that I have come across. Overall: We are working on addressing a specific compliance issue in partnership with Fabriq. The team is knowledgeable and very collaborative in their approach, and has created a compelling product that delivers strong value. 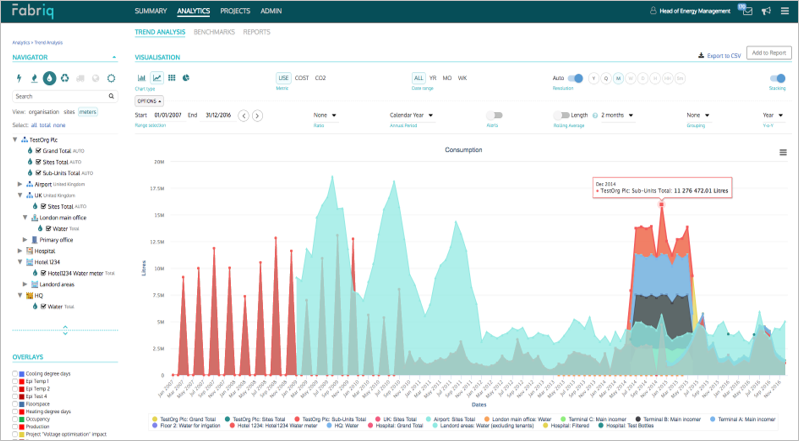 The potential for energy savings drastically increases when data is properly collected, stored, and available for actionable insights. Comments: EnergyDeck has provided a strong solution to our energy and general sustainability data tracking requirements. We are able to easily capture data from around our sites for Electricity, Fuel, Water, Waste and Transport, and the analytics / reporting tools are very powerful and easy to use. 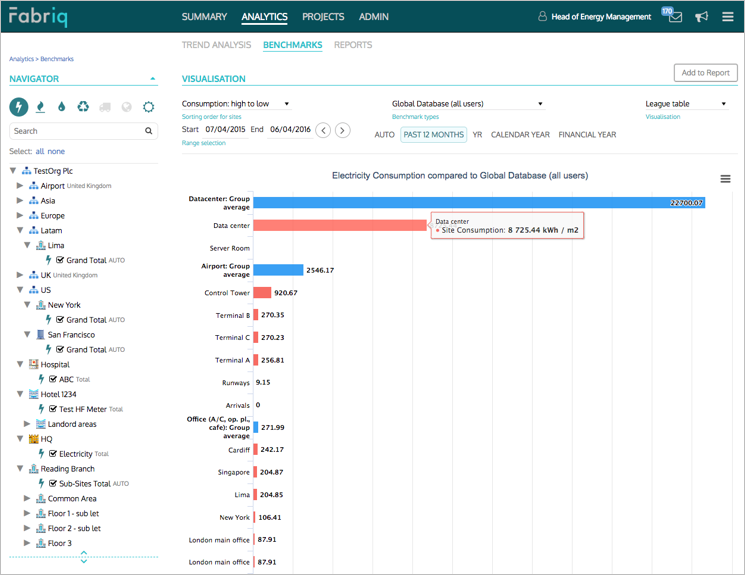 All data is translated into carbon tCO2e and it is easy to switch back and forth between consumption and target measures. 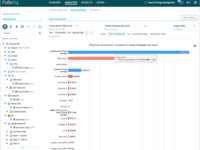 EnergyDeck are in the process of upgrading the interface to provide greater ability to track targets, and manage a wider range of sustainability measures. However, the tool as it stands more than meets most requirements, and is particularly powerful in measuring energy - as the name suggests! The service we have experienced is first class, and we would definitely recommend both the software and the support team to anyone. Comments: I installed Energy Deck for Tate supplier in order to avoid having to use different platforms to get the necessary data and also get away from excel spread sheets. I now have a system which can be accessible from everywhere, really easy to use and I can produce various reports really quickly. it has helped a lot to bring different departments together and get colleagues to understand my role at Tate and our objectives to manage and reduce energy. Comments: I have been using the Energy Deck web portal to record the groups' utilities, travel and transportation usage since 2013. The concept and the portal works well, the specialist team supporting the portal are always ready to support and assist with additional training when requested. I have found the analytical reporting tool excellent when reporting the firms' carbon footprint. Comments: We asked EnergyDeck to help us with downloading large amounts of data from our account in a particular format and they gave us a quick and effective solution that saved us a lot of time.